Like many of you, we had our first snow of the season last week. While it's mostly gone now, it is snowing like crazy in the mountains and I know winter is not far off. I feel there are basically two types of winter runners - the runners who retreat indoors to the treadmill or cross training till the spring thaw, and the ones that embrace the snow and cold like school kids on a snow day. 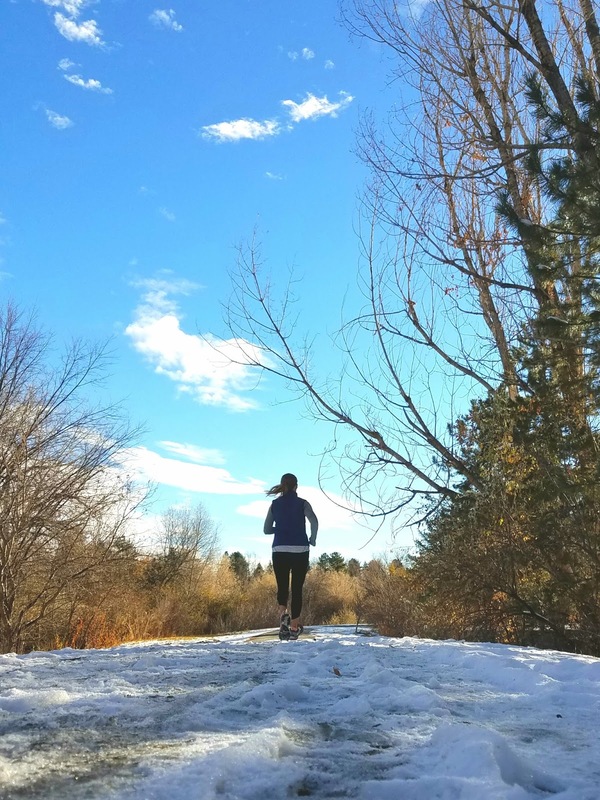 For a long time I refused to run outside if temps went below 32 degrees unless it was for a race, but since moving to Colorado I've learned to love running in the winter. There's something so calming about it and I now see it as a challenge! The only aspect of winter running that I continued to struggle with was actually running on snow and ice. 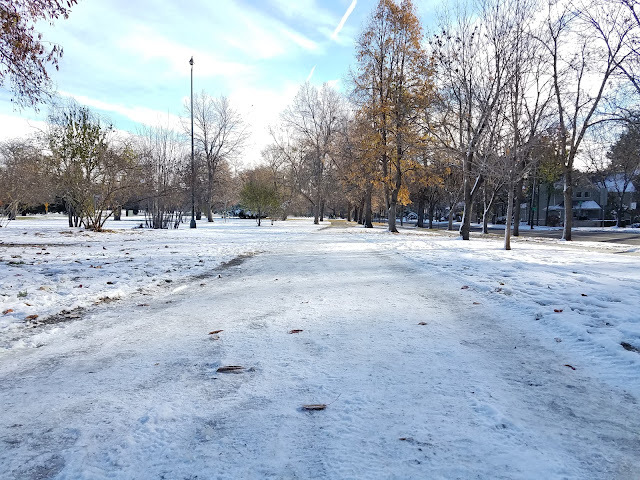 Here in Colorado, snow tends to melt pretty quickly thanks to the strong sun, but as soon as the snow gets packed down it becomes pretty slick and sticks around. I'm a natural klutz so the snowy and icy patches have been my kryptonite. Last winter I'd watch in awe as a group of much faster runners did laps around Wash Park practically gliding over the ice and snow as though they didn't even touch the ground. I on the other hand, would practically slow down to the pace of a turtle every time I'd get near the stuff. 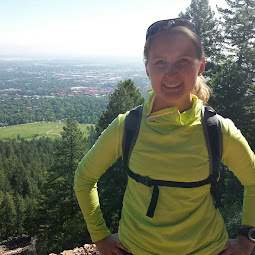 The big secret to how I got over my fear of running on ice? I just kept running and didn't think much about it. The good thing about the first snow is that it's a fresh start. So when I came up on this icy snow packed section of trail, and the others after it, I just went for it. And guess what? I didn't fall. It's a miracle! All jokes aside, it wasn't that bad. A little snow is better than sheer ice, but loose snow can be a bit like running in sand. I just kept going without slowing and practically glided over it like those other runners. Or so I'd like to think! I have been working on my balance and core a lot lately, and have added some agility work to my routine, which may help me stay light and balanced on the ice. I am still nervous about black ice and I won't be running in the dark on icy days, but I'm feeling much more confident in my ability to run on ice and packed snow. Now, if you still just don't like running in the cold, here's my advice for that: bundle up and you'll be toasty in no time. Layers, warm mittens and a hat will do the trick. Be in the moment, enjoy the fresh air, and a hot cup of coffee or hot chocolate when you get home! Do you love or hate winter running? * The Runner's World Run Streak starts Thursday! Are you taking part?